The long-pending demand of APSRTC employees for a super specialty hospital in the city like the Tarnaka Hospital in Hyderabad has been fructified. 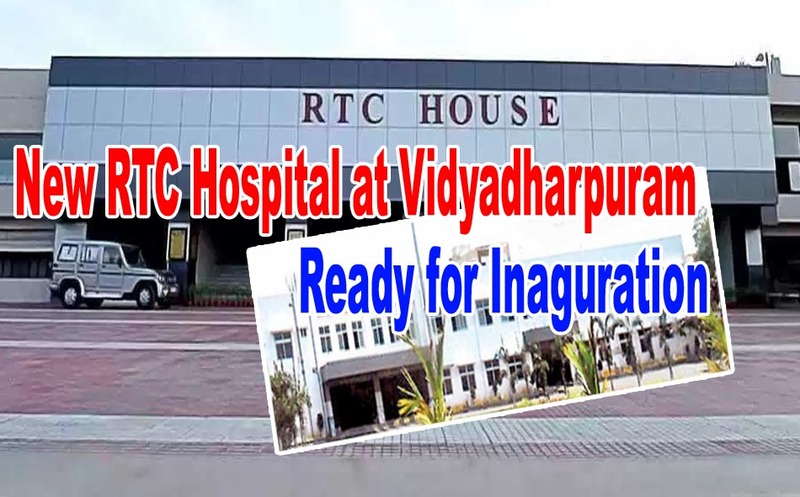 According to APSRTC officials, Transport Minister K Atchannaidu will inaugurate the hospital developed with state-of-the-art facilities at Vidyadharapuram area in the city on June 28. The G+1 storied central hospital was constructed on a 3-acre site at an estimated cost of Rs.15 crore, collected from employees at the rate of Rs.100 per month. It may be recalled that former APSRTC MD N Sambasiva Rao had laid the foundation for the hospital on March 10, 2016. The corporation had entrusted the task of building the hospital to its own engineering department. Around Rs.15 crore was spent by the corporation, Rs.7 Crores for building and Rs.8 crore for equipment. In last two years, majority of the employees faced a lot of in-convenience as they had to travel all the way to Tarnaka Hospital in Hyderabad for medical treatments. Now, with Construction of the hospital, close to 70,000 employees of the Corporation and their family members will be benefited. The hospital would be equipped with Cardiology, gynaecology, ophthalmology, ENT other departments with advanced technologies.